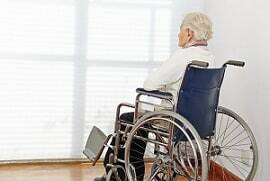 This nursing home negligence wrongful death lawsuit involving a woman who resided at a Genesis nursing facility in Prince George's County who died of sepsis secondary to a UTI. It was filed in Health Claims Arbitration on April 14, 2017 and it is the 178th medical malpractice claim filed in 2017 in Maryland. A 64-year-old woman goes to Crescent Cities Center after receiving care from Holy Cross Hospital after falling in her home. Upon admission to the Genesis facility, she has intraventricular hemorrhage, a history of falls, atrial fibrillation, hypertension, chronic obstructive pulmonary disease, altered consciousness, sleep apnea, hyperlipidemia, chronic airway obstruction, muscle weakness with walking, and is obese. During her stay at defendant facility, there are numerous occasions when the woman is left for long periods of time in soiled clothing. She is found by her relatives who come to visit her, who report this to the staff. The staff fails to change her care plan or address the problems. A few weeks after her admission, she is found to have fallen out of her wheelchair. A transfer note is done that indicates lethargy the day following the fall. She is discharged from the facility to Washington Adventist Hospital. Upon arrival at the hospital, she is diagnosed with severe dehydration secondary to a UTI, acidosis, encephalopathy, and septic shock. She is in respiratory distress and she is found to have a pelvic abscess due to urosepsis. She develops deep vein thrombosis while at the hospital, and is in the intensive care for a few weeks. The whole time she is at the hospital she is on full ventilator support. She remains on a ventilator for six months until she dies. The cause of her death is listed as sepsis. Her family files this lawsuit, alleging that during the few weeks she resided at the Genesis facility, the staff failed to properly treat and observe her. They also allege the facility failed to provide a safe and hygienic living environment, all contributing to the woman's death. The gist of this is that the nursing home should have diagnosed her UTI and sepsis. Nursing homes must assess patients with a suspected UTI for complaints of burning or stinging with urination, strong urine odor, decreased urine output, decreased fluid intake, decreased eating and drinking, and persistent back or flank pain. An untreated UTI infection can develop into sepsis, which is what happened in this case. Sepsis occurs when chemicals released into the bloodstream to fight infection trigger inflammation throughout the body. This inflammatory response creates microscopic blood clots that block nutrients and oxygen from reaching organs, causing them to fail. If sepsis progresses to septic shock, as happened with the patient in this case, blood pressure drops dramatically and the person dies from a lack of oxygen perfusion to the brain and vital organs. If you have a loved one who has suffered due to the negligence of a nursing home staff, we can help you. Miller & Zois has a history of obtaining large results in nursing home negligence cases in Maryland. Call us today at 800-553-8082 or get an online case review.